Investors were getting very fidgety ahead of the G20 meetings which begin in Argentina today. Usually, G20 meetings are a snooze-fest as far as financial markets are concerned, but this one is different. 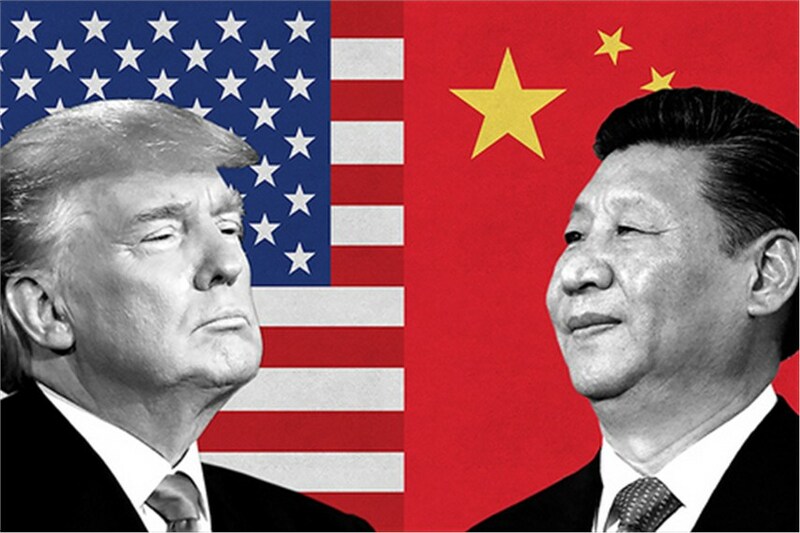 By far the main reason is that US President Donald Trump and Chinese President Xi Jinping will be meeting over dinner tomorrow evening to discuss their differences over trade. A secondary one is that Russian Premier Putin is set to meet Saudi Arabia’s Crown Prince Mohammad bin Salman where the subject will be what to do about the ongoing sell-off in crude oil. US stock indices were reacting to every single snippet of news relating to the US/China meeting. On Thursday equities sold off after it was announced that Peter Navarro, Trump’s ultra-hawkish trade advisor, is back on the guest list for this Saturday’s US/China dinner. Mr Navarro is the main driving force behind President Trump’s imposition of tariffs on Chinese imports. Initially, he wasn’t invited to the dinner, but his late inclusion would suggest that the US team are prepared to take a confrontational stance towards China. In addition to Mr Navarro, the US delegation is likely to include US Secretary of State Mike Pompeo, Trade Representative Robert Lighthizer, National Security Adviser John Bolton, White House economic adviser Larry Kudlow and Treasury Secretary Steven Mnuchin. The latter two gentlemen are considered trade doves. Earlier this week Larry Kudlow played down worries that the US and China would fail to agree over trade and risk further tariffs. He said the Trump administration had resumed discussions "at all levels" with China's government. However, he also said that: "Things have been moving very slowly between the two countries," and that it was up to China’s leader to come up with some fresh ideas to break the deadlock. Earlier on Thursday stocks rallied after the US President said he was “very close to doing something with China,” adding that he thought that China was ready to make a deal. That may be so. But there’s little doubt that rhetoric from the US has been very aggressive in the lead-up to the meeting. Less than a fortnight ago US Vice President Mike Pence caused a stir at the Asia-Pacific Economic Cooperation (APEC) summit. Mr Pence said there had been major differences between the US and China, not just on trade, tariffs, forced technology transfers and intellectual property theft, but also extending to human rights and freedom to navigate the seas. Ahead of today’s open US stock index futures bounced after Robert Lighthizer (another trade hawk) said he expects a successful outcome to the Trump/Xi dinner. But later it was reported that he made no prediction over a possible deal. So, investors were left scratching their heads. Not only is it impossible to predict the outcome of tomorrow’s meeting, but it’s also difficult to guess how the two sides will address each other. It’s certainly impossible to know what Trump is up to as he’s quite capable of changing his mind a dozen times while coffee’s being served. But the Chinese delegation are aware of this. In addition, they have shown their willingness to engage in dialogue. The only problem is that the US demands (such as we understand them) are too excessive for them to agree to, even if additional tariffs damage their economy further in the short-term. China has repeatedly ignored US demands to lower its trade surplus with the US and to put an end its theft of intellectual property. Of course, all the rhetoric so far is probably little more than grandstanding ahead of the event. Maybe Trump is just talking tough, making it look like a deal will be difficult to achieve. Then he’ll announce a breakthrough to the great surprise of investors and equities will soar. Trump has continually pointed to a rising stock market as direct evidence of his success as US President. In that regard, a deal with China could be just the catalyst for a sharp rally into the year-end which would give the President something to boast about. But at the same time, Trump can’t be seen to be ceding ground to Xi Jinping and risk looking weak. He would be torn apart and ridiculed by his detractors on the right and left. Adding to his woes, with Federal Reserve Chairman Jerome Powell’s dovish pivot triggering Wednesday’s massive 2% rally in the US majors, it will become more difficult for the President to blame Mr Powell for further stock market weakness. So, he plays tough, there’s no deal and equity markets tank. He backs down, makes a deal and equities soar, but he looks weak. Neither situation is perfect, so perhaps the most likely outcome is a face-saving fudge. We’ll know soon enough.